Control Engineering, part of CFE Media, awarded products in 27 categories of control, instrumentation, and automation products introduced during 2015. The winners were chosen by Control Engineering’s print and online subscribers. 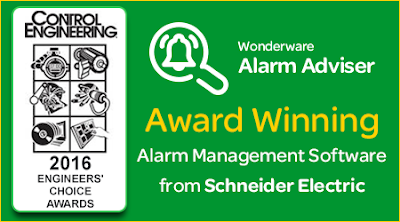 The award winning alarm management software from Schneider Electric – Wonderware Alarm Adviser – is a scalable web-based alarm analysis software that helps customers discover nuisance alarms in the process system through interactive visual analysis. It allows engineers to quickly analyze alarm patterns and identify nuisance alarms that can lead to operator distractions. Alarm Adviser provides users the actionable intelligence to identify everything that is wrong with an alarm system and the ability to eliminate bad actors. 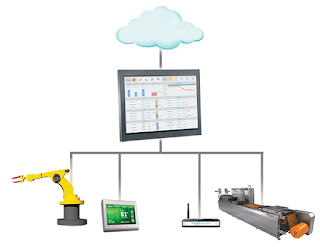 It also provides the tools necessary to achieve continuous improvement in your SCADA alarm system. With Alarm Adviser, users can achieve measurable improvements in their existing alarm system and reduce operator overload to allow them to focus on wider business benefits. Alarm Adviser is compatible with tablets and thus enables plant engineers, operators and managers to view alarm metrics anywhere, any time. It enables unlimited analysis clients, which gives users the freedom to use the software on as many devices as needed. The software facilitates compliance with alarm management regulations and best practices (provides out-of-the-box metrics that comply with EEMUA 191), yet allows to tailor metrics to suit local facility goals. Read the New Offering Announcement to know more about Alarm Adviser. More than 100 product nominations from 60 companies were listed for evaluation and consideration in the 2016 Engineers' Choice Awards. Control Engineering's subscribers — who are mostly automation professionals responsible for or influence technology purchases, or have hands-on day-to-day interaction with the technologies in each category — voted for the products they thought were the most exceptional based on technological advancement, service to the industry, and market impact. A total of 27 winners and 27 honorable mentions were named for 2016 in 27 categories. Control Engineering (www.controleng.com) is the leader in connecting the global industrial engineering audience through the coverage of and education about automation, control and instrumentation technologies in a regionally focused, actionable manner through online and print media and in-person events. Control Engineering, Consulting-Specifying Engineer, and Plant Engineering are part of CFE Media LLC, located in Oak Brook, IL. CFE stands for Content for Engineers (www.cfemedia.com). 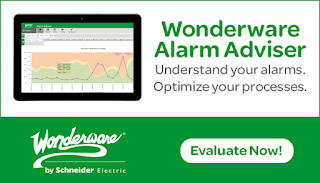 For more information on Wonderware Alarm Adviser, please visit our software website or contact your local Wonderware representative.